Education on health inequities has long been valued by learners and educators alike. This has taken different forms at different schools and residency programs with the use of a wide range of terms to describe programs over the years.1 Healthcare inequities are “wicked problems”,2 characterized by incomplete, contradictory, or complex systems with solutions that are not simple. 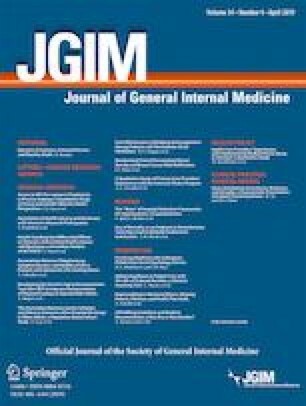 In this edition of the Journal of General Internal Medicine, four papers explore concepts related to educating students or resident physicians to tackle the wicked problems in our health systems resulting from bias or related to inequities in health and health care. Doobay-Persaud and colleagues present a scoping review of methods to teach social determinants of health (SDH) in undergraduate medical education.3 This paper gives valuable insights into most commonly reported instructional methods used for teaching SDH. All programs except one used traditional didactic forms of instruction and peer teaching. While didactic instructional methods appear to be a core component of curricula to convey concepts and organize material, they may not be sufficient to effect real change. Participatory learning, such as role play, standardized patients, and case analysis through video or paper cases, when added to didactic teaching methods, prepares learners to cope with real situations through simulation and establishes a basis for reflection. In the paper entitled “Use of Simulated Patient Encounters to Teach Residents to Respond to Patients who Discriminate Against Health Care Workers,” Eisenberg and Kieffer provide education to first-year internal medicine residents to improve skills in responding to an unfortunate growing trend, i.e., patients who exhibit discriminatory behavior towards members of the health care team.4 The residents participated in a “Responding to Bias” workshop. After an instruction to frame an approach to respond, residents experienced four clinical scenarios with standardized patients covering gender bias, class bias, and racial bias. Following the scenarios, there was a structured debrief of the sessions. Residents rated the sessions as realistic and perceived them as effective in preparing them to respond to patient bias. While sessions like these are feasible, it remains to be seen if learners adopt the skills learned and transfer them to the clinical setting. Experiential learning refers to authentic experiences such as working directly with low health literacy patients in clinics, volunteering in free clinics and participating in community service events. These are valuable additions to didactic and participatory learning. In the paper by McDermott and colleagues entitled “Developing a Professional Identity as a Change Agent Early in Medical School: The Students’ Voice,” medical students provided perspectives on the educational benefits of guiding patients through the healthcare system early in the medical school experience5 as part of a patient navigation health system curriculum. These pre-clerkship students describe their direct experiences with patients whose barriers to care were substantial in three distinct examples. Students learned that they could directly add value to patient care and developed professional identity as “change agents.” Enabling students to become change agents in authentic clinical settings may lead to transformative change in their professional identities. Education in these domains face significant barriers. Competition for resources is a limiting factor. The traditional curriculum with dense coursework and high-stakes assessments distracts learners from transformative experiential learning. [5, 6] Prioritizing exams for other courses while requiring participation in authentic clinical experiences creates discomfort and reinforces the tenet that these experiences are less important.5 Making enough time for this instruction in the curriculum is a good first step but may be insufficient. In the paper entitled “Medical Student Views on Implicit Bias Instruction: Implications for Curriculum Development,” Gonzales and colleagues analyzed transcripts of student focus groups and confirmed prior studies showing learner resistance to implicit bias training. Students resisted the idea of bias within themselves and some expressed doubt that implicit bias influenced clinical outcomes. The authors found a double-edged sword—some students resisted acknowledging implicit biases by discounting it, while others noted shame after they recognized their own implicit biases and were reluctant to disclose them. Learners experience the powerful hidden curriculum, or the unwritten, unofficial, and often unintended lessons, values, and perspectives that include exposure to a plethora of biased and discriminatory statements and constructs from more senior role models. This experience can overwhelm even the best-designed formal curriculum. A variety of measures may be used to assess student achievement such as multiple-choice tests, reflection with feedback, grading of projects, self-reported changes in knowledge, skills and attitudes, OSCE assessments, and formative feedback. The literature on this is outside the scope of this commentary.7 Medical Students Attitudes towards the Underserved (MSATU) instrument is a standardized assessment tool and can be used for self-assessment.8 The curriculum itself should be evaluated to inform future directions for education. The health inequity problems in our healthcare system have numerous features of a wicked problem—complex in scope with no clear solution. These four manuscripts give valuable ideas about educational strategies to help learners tackle the thorny problems of inequity that affect health care outcomes. This is a broad topic with many components and more uniform terminology is needed. More research into effective educational techniques with reproducible outcomes would help us better understand approaches that work. The articles in this theme issue on this topic challenge us to consider our own learning environments, to identify our biases, and to consider the factors that are within our realm to tackle.